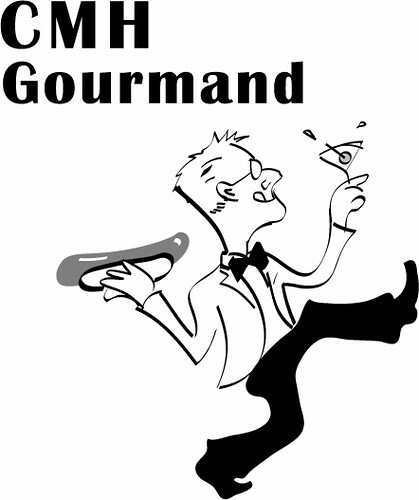 August 28th marks the fourth Anniversary of CMH Gourmand. Things are going well. The two nemeses / nemesi of CMH Gourmand in the past year are time and typos. This year has been about stretching my limits and I have felt it. I was stretched thin, too thin. I went on my epic journey with CMHTobias and thought about the adjustments I needed to make on my return home to ensure I can do what I want and need to do. There are still many things I start to write or want to write about but I run out of time or I find the post is no longer relevant when I have a spare moment to fully develop it or someone beats me to the keyboard with the concept. My two primary jobs and other sundry side projects limit my opportunities to sit down and write something fit to print. Much of what I have written in the last year has been right on the edge of “blog worthy” or reader worthy. I have seen the quality and the quantity take a hit in the last year so I apologize. The struggle for time also encourages rushing which guarantees typos. I catch most of them within a week or two and usually tweak my longer posts a few times after publishing. Something about seeing the posts on a foreign computer screen lets me see errors and omissions that looked fine on my laptop. That being written, it has been a good year, a very good year. People often observe that this blog, the other blogs I contribute to as well as my many food related projects must take a lot of time – that is very true. The food related things I do are “my life” and what I live for and are almost all consuming. Fortunately, all of this “work” is fun. However, (until lately, almost) all of this “work” is unpaid, pro bono, community service. I have no complaints about that. Each of these ventures have opened doors and created opportunities for me or for people that I care about and/or for the community. The greatest gift I receive from all of this is exposure to people and places I would have never encountered otherwise. In four years I have made countless friends, many of whom are very dear to me (I value them more than they know). The blog has indirectly brought me great happiness and unbearable sorrow. It balances out in the end. This year has seen the continued popularity of Taco Trucks Columbus, my collaboration with Hungry Woolf and Taco Drew. There are now two spinoffs from that project which I contribute to – Alt Eats Columbus and Street Eats Columbus. Bethia and Andy have taken their well-eaten expertise from the three sites and created Columbus Food Adventures to promote culinary Tourism in Columbus. I also started my own business with my friend Amanda. We do Social Media consulting as – Feed Social Media. The company is doing really well (yay) and our projects often allow me to work with food related businesses and events. There are new joint and individual projects in the works for the next year. This is an exciting time for Columbus food. I am happy to see so many people doing well and taking risks during a time where we are more apt to believe that there is neither hope nor food around the corner. In the arena of good eating, Columbus is booming (in spite of the uninformed opinions of Chefs Bourdain and Ruhlman). This has not been the year for Columbus Foodcast. The podcasts were always fun but Zach, Bethia and I have too much on our plates to produce a scheduled podcast for now. The project had a good two year run and is not completely dead, but instead of weekly or monthly, will more likely be on a yearly schedule for distribution. There are some gems floating around in the Foodcast archives, so take a listen some time. Reader/viewership has flatlined this year but remains constant. I hit the 300,000 visit mark recently. I can currently expect 2000 to 3000 people to surf in per week. I have seen a large rise in people following the blog via RSS, Google Reader etc., in the last couple months so I thank my followers for their loyalty. I know the only way to grow the blog at this point is to write more often and “more better” but that does not seem to be on the menu for now until I drop my main job with “the man”. A couple projects I have in the works may make that dream a reality next year. I will continue to write as often as possible. It is what I must do and is a sickness that has no cure. Therefore, if CMH Gourmand becomes a blog for one, one thousand or one million, I will remain at my post, posting away. Follow me on twitter @CMHGourmand if you find that my field reports become too infrequent. This entry was posted on August 24, 2010 at 3:23 PM	and is filed under culinary misadventure. You can follow any responses to this entry through the RSS 2.0 feed. You can leave a response, or trackback from your own site. Congrats on the four year anniversary! I always enjoy reading your posts! Congratulations! I am excited to see what the coming year holds for you! Congratulations on four years. I think you do amazing work. Cheers. Congrats on four years, Jim! 😀 Keep up the great work! Congratulations on 4 years Jim. We here at the Booze Up are very proud of you.